This page has been set up to keep members informed of the plans for the redevelopment of the Astley Ainslie site when the hospital moves to the Royal Edinburgh Hospital. We are in the process of adding material to it. Links down the left side will take you to a number of relevant or interesting documents about the site. Click here to jump to most recent update and here to see photographs of the site. Click here to be kept in touch with developments. Astley Ainslie Hospital (AAH) site. There is now some information from NHS Lothian about the future of this site. First, we remind readers of some recent history. The site was first considered for development in the early 2000s when building a new school there was thought to be possible. In 2002 a Development Brief for the site was drawn up by the City Council; this Brief has been confirmed to be still valid and no amendments are planned. The Grange Conservation Area Character Appraisal, updated in 2014, has a long section on the AAH grounds and its value to the area. In 2011 NHS Lothian began consulting representatives of local Community Councils about redevelopment of the Royal Edinburgh Hospital (REH) site which would include transferring all facilities from the AAH site to the REH site. At a meeting in October 2016 NHS Lothian confirmed that they expect to start consultations with the community in early 2017, in advance of producing a Masterplan for the AAH site prior to a sale in around 2019. The AAH site lies within the boundaries of the Marchmont & Sciennes Community Council and is within the Grange Conservation Area. Three other community councils border the site and their residents also have a strong interest in any development on the site. Representatives of the community councils have agreed to work together to keep their residents informed about any consultation events and plan to work with the NHS to ensure that any information provided is accurate – possibly via a dedicated website. We recognise that some development on this site is inevitable and hope that this will not result in the loss of the much appreciated open space in the AAH grounds. We therefore wish to work with the community to try to ensure that the development is acceptable – or, as acceptable as possible. The Grange Association has long been involved with this much loved area and took part in the survey in 2012 to record public use of the grounds (see Newsletter No 104). This led to some of the routes through the grounds being designated as public Rights of Way (see article by Jo Doake – link on left). We will keep you informed about details of any public meetings on our website. If you are able to help in any way please get in touch. We would be particularly interested in hearing from anyone with experience of dealing with such large scale developments who may be able to help with any legal or planning matters which will arise. In addition to the working group with the local Community Councils mentioned above, NHS Lothian has set up a Forum of interested parties, consultations with which will inform the masterplan for the site. The Forum had its first meeting at the end of April. NHS Lothian is working with Hub South East, an organisation that manages major projects for the public sector. They in turn are appointing consultants to manage the public consultation and sale but no appointment has yet been made.Following our appeal for help, we are delighted to welcome two new members of the group of Grange Association and Community Councils members. Alan Farningham is a town planning consultant who lives in the Grange and Sofia Leonard is a retired conservation architect who was instrumental in establishing the conservation area. They have both kindly offered to help with our negotiations with NHS Lothian. 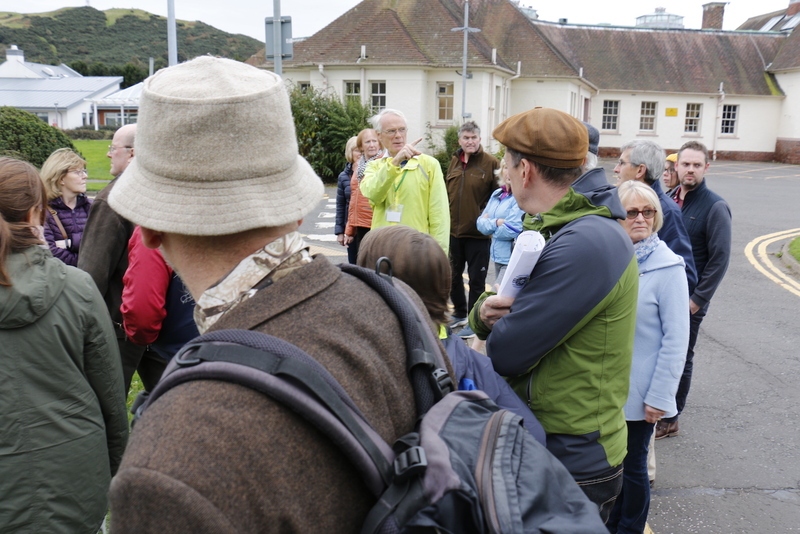 Jo Doake did excellent work establishing the rights of way through the Astley Ainslie grounds and she and her husband, Richard, have arranged several guided walks through the AAH grounds which participants have found interesting and informative. In mid-July Hub South East are about to appoint consultants to lead a masterplan. They tell us it is their intention to develop an engagement strategy that is site specific and bespoke to the needs of the local communities. They intend to utilise the principles established in the 2002 development brief as the starting point, recognising that much of the brief still has relevance today. The needs of the NHS have however changed over the past 15 years and the masterplan will need to encompass this. They have produced a timeline for producing the masterplan which they hope to stick to. They want to respect the various features of the site and produce a masterplan that the City of Edinburgh Council can rely upon. The masterplan will therefore focus on matters relating to use, setting, scale, density and materiality, access and egress etc, but will not seek to develop or put forward any detail in terms of how individual buildings will or might look. However the surrounding community will be encouraged to put forward specific views for the consideration of CEC through the consultation process. There will be consultation events over the coming months with clear objectives on what everyone attending is looking to achieve. Details cannot be given before the consultant team is appointed, but NHS Lothian is committed to communicating in a variety of ways to ensure everyone has the opportunity to provide their input, with lots of opportunities for people to do this, either through involvement with specific investigations on site or through a variety of well thought out presentations and drop in events. Update of 2013 Tree Management Report. There are over 800 tagged trees on site and 67 identified species. The report highlights trees that require ongoing management as well as a risk assessment of those that could be cause for concern in the future. 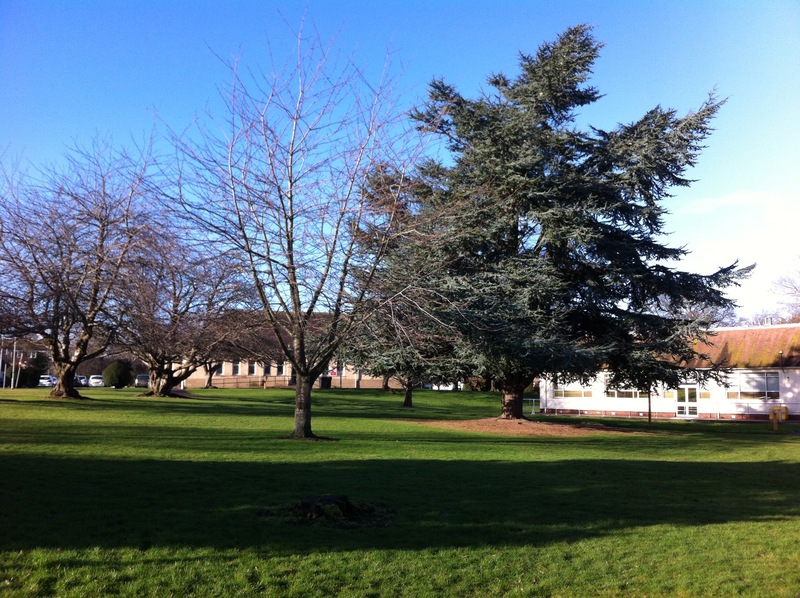 The trees on site have been the subject of regular inspection since 2013 and any required works have been approved through the necessary statutory process. Archaeological assessment and field evaluation. Meetings have been held with CEC’s archaeological officer and an archaeological scope is currently being defined. An area has been identified by CEC that should form the focus of archaeological evaluation and tenders will be prepared to appoint suitably qualified consultants to undertake these. It is the intention to involve the community in any such investigations and notify them well in advance of any investigations taking place. Already eight University of Edinburgh Archaeology Students have expressed an interest in becoming involved. 3D Cloud point topographical survey of the site. This is an aerial survey that will map the exact positions of all existing buildings, walls, boundaries and the extent of the tree canopy portrayed in 3D. This will form part of the mapping of the site’s architectural archaeology which has also been agreed with CEC. This survey is scheduled to be completed sooner rather than later. Land based topography will be carried out in the areas that are identified as being the most likely capable of sustaining development. Ecology report. Ecology reports will be commissioned to inform the masterplan and better establish open space and habitat requirements. These will be seasonal in nature and surveys will take place over several seasons. More detailed building condition surveys of the listed buildings on site will be carried out, but these are not programmed to be carried out in the immediate future. Ongoing photographic record of the masterplan process. NHS Lothian intends to involve those interested from the community in capturing a record, perhaps in book form of the next chapter in Astley Ainslie’s life. Details await the appointment of the consultants. The above will be used to support any requirement for an Environmental Impact Assessment. An environmental screening request will be made to CEC to determine any requirement. Other surveys which will include utilities capacity, transportation, traffic etc will be scheduled in to the process at the appropriate time. Meanwhile the Grange Association and the Community Councils have invited the Urban Design Group of the Cockburn Association to see round the site and assist us. A further series of walks round the site are planned in September/October for all who are interested. These will be publicised shortly. The group of representatives of the four Community Councils and the Grange Association has met a total of six times and we had our second meeting of the “Forum” with NHS Lothian on 21st September. NHS Lothian undertook a strenuous selection process and has chosen its preferred bidder as consultants to manage the community consultation and draw up the masterplan for the site. The actual appointment has been held up awaiting ratification from the Health Board which did not meet over the holiday period. Phase one of the new build at the Royal Edinburgh site is complete and patients have been transferred leaving only 80 patients on the Astley Ainslie site. Phase two of the build is approved in principle and when this is completed, the remaining patients will transfer and the hospital close. This is still scheduled to be in 2019, although here has been at least two months time slippage so far. Meanwhile NHS Lothian is seeking tenders for the various surveys mentioned above and, in particular, has agreed with the City Archaeologist the area which will subject to the archaeological survey. NHS Lothian has accepted that new building on the AAH site cannot be within 20 metres of a protected tree and that this will limit development to only 50% of the site. 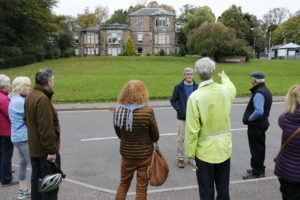 Our group of community representatives met on 24th August with the Urban Design Group of the Cockburn Association and showed them round the site. The group expressed an interest to be involved and offered their expertise to help us in any way they can. development to be avoided. You can download the questionnaire here and it or its contents can be returned by email to AAHComReps@gmail.com. It was expected that the last 80 patients at the Astley Ainslie would be accommodated in a purpose built unit at the Royal Edinburgh Hospital in 2019 but it has recently been decided to look at the options in more detail. This process will mean considerable delay to the move and hence the sale of the site. Our group of Grange Association and the local Community Councils held our third meeting with NHS Lothian in February. Although the preferred consultants to draw up a masterplan for the site have been chosen, this delay has meant they have not yet been appointed. However we are reassured that this masterplan will be based on the Council’s Planning Brief produced in 2002. This brief restricts the development of the site to make it compatible with the conservation area. Once appointed, the consultants will hold a number of events for consulting with the community. As mentioned above, in the autumn in preparation for this community consultation, we held guided walks round the grounds to familiarise people with this special area. They were a great success and we plan to have further walks in the spring. There is a lot of information about the Astley Ainslie elsewhere on this website. A separate group working with our support has recently been set up to investigate the possibility of community ownership of the site. They have held two well-attended public meetings. Our group of representatives of the community councils and the Grange Association has continued to have regular meetings with NHS Lothian. At the April meeting NHS Lothian announced that they might take advantage of the delay in vacating the AAH site to draw up a planning brief to replace the 2002 brief prepared by the Council. This would be instead of a Masterplan and would be significantly less expensive. We argued strongly that that the community would find a robust Masterplan far more reassuring. At our June meeting with NHS Lothian there was much discussion about Masterplans and planning briefs. It was agreed that the Planning Brief could include a Masterplan and be sufficiently robust to ensure that the developers respected the character of the site and of the conservation are as a whole. At this meeting we learned that employing Hub South East as had originally been planned would prove far to costly and instead the sale would be managed in-house by Stewart Adams. He would draw up tender documents and employ consultants to carry out consultation with the community and draw up the Planning brief / Masterplan. He asked us to help him prepare a contents list for this proposed document. This was produced and discussed with NHS Lothian in August. It was generally accepted, however, there was disagreement as to how much preparatory work such as surveys should be carried out by NHS Lothian before the sale rather than by developers after the sale had ben completed. In addition NHS Lothian wanted to omit some items from the list that might in any case be covered by Council policies. Our group now awaits an amended document from NHS Lothian which will be used to create the tender documents for employing the consultants. We have been reassured that full consultation with the community will take place. This is likely to include workshops with an independent facilitator and a landscaping expert. There would also be a dedicated website and public exhibitions. The revised timetable remains unchanged. The consultants should be appointed in October and consultation with the community would be through 2019 aiming to finalise the planning brief and masterplan. This would then be adopted by the Council. The site should be put on sale by late 2019 or early 2020. Click here if you want to be kept in touch with developments at the Astley Ainslie by email.